Using BigQuery with Reddit data is a lot of fun and easy to do, so let’s get started. 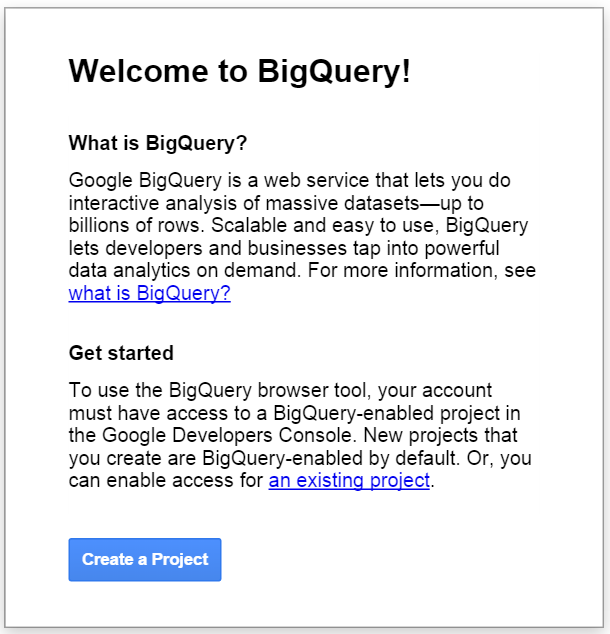 You’ll want to start by setting up a BigQuery project if you don’t already have one. Google gives 1TB (one terabyte) of free data-processing each month via BigQuery. Each time you run a query, BQ will tell you how much data that particular query processed. 2. Create a new project if you don’t have one already. 3. This may redirect you to https://console.developers.google.com/start — if so, create a new project here. 4. 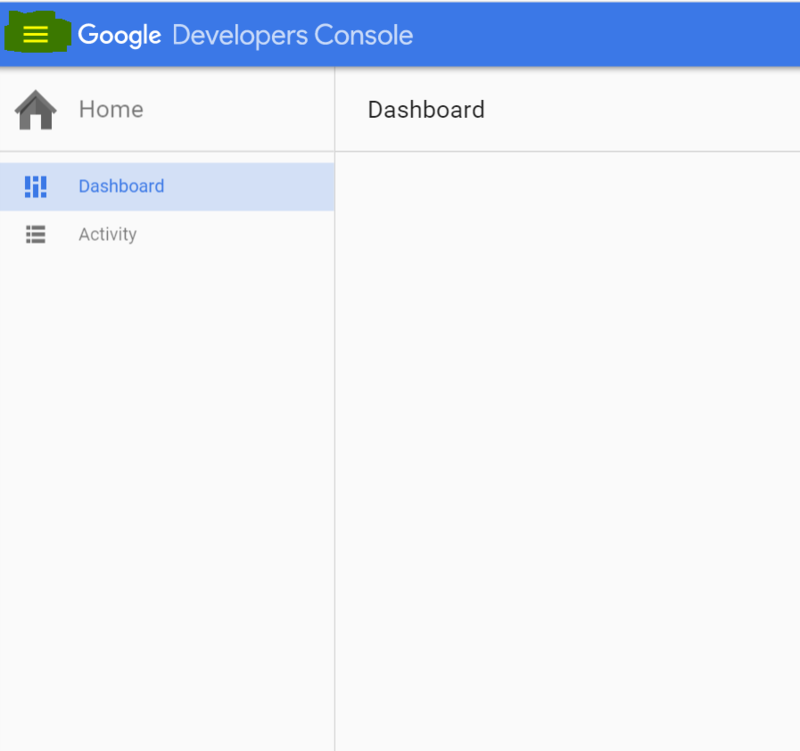 Once you create a new project, you can go back to the bigquery console by selecting the icon in the upper-left and selecting BigQuery. 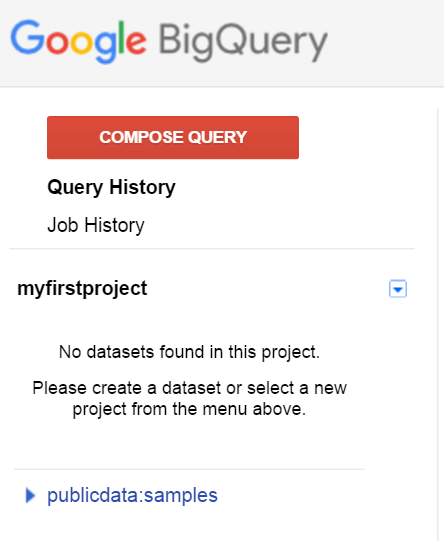 If that doesn’t work, try going back to bigquery.cloud.google.com after you create a new project and it should take you to the screen where you can begin running queries. If everything works, you should see this in the upper left-hand part of your screen. Using BQ is very easy if you’ve every used SQL before, but in case you haven’t, here’s one of the simplest SQL statements for getting data. A database is composed of tables. Each table is composed of fields (columns) and records (rows). The above SQL query uses something called a table decorator in BQ. It restricts the amount of data processed and is always a good thing to use to keep a query from getting too large. Remember, BigQuery has databases that are well into the terabytes and running a query on very large tables can consume massive amounts of data processing. These queries can be very expensive (from a data processing standpoint). In this example, we’ve giving the field count(*) an alias called “count”. We can then reference that alias in the ORDER BY statement. This is usually a little clearer, especially when your SQL queries start getting very large. 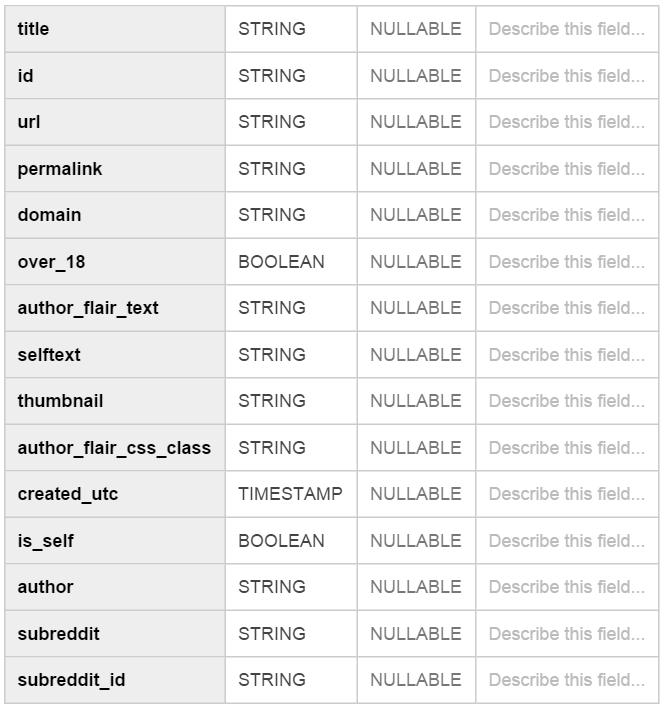 These are the fields available for the comments and submissions table. Using this as a reference, you should be able to start creating more advanced SQL queries in BQ. Let’s do some powerful and interesting queries using BigQuery! 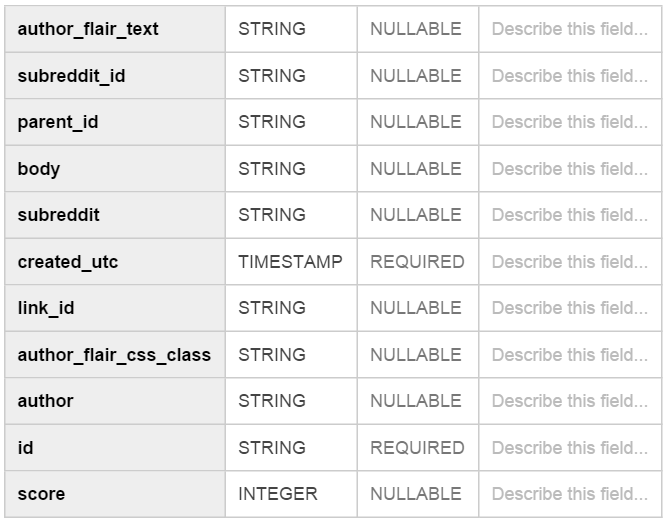 This query will show the top 10 Reddit posts (submissions) using the past ten minutes of comment activity. Each comment made on Reddit belongs to a subreddit and submission, so we can use the above query to group by submissions and then join the link_id to the id of the submission. Each comment has a link_id, which is the id itself for a submission. This is basically nesting select statements. The second select creates what is known as a “derived table.” You can then treat that derived table, or “t1”, as if it were a real table. This is how you can easily create more complicated queries without getting in over your head too easily. Let’s do a few more advanced queries.